We will be pre-enrolling all of our students for the 2019-2020 School Year! In an effort to reduce the amount of time it takes for our parents to complete enrollment forms, we have created an online enrollment form. Parents will still be required to physically sign off on a checklist that also acknowledges that you completed and understood all terms included in enrollment packet. This will take place in August for all students. 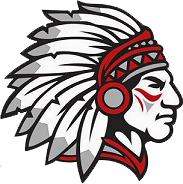 New students enrolling at Cherokee Public School will still be required to submit necessary paperwork including copies of birth certificate, shot records, and social security card. Sudden Cardiac Arrest Form (All athletes in grades 5-12).